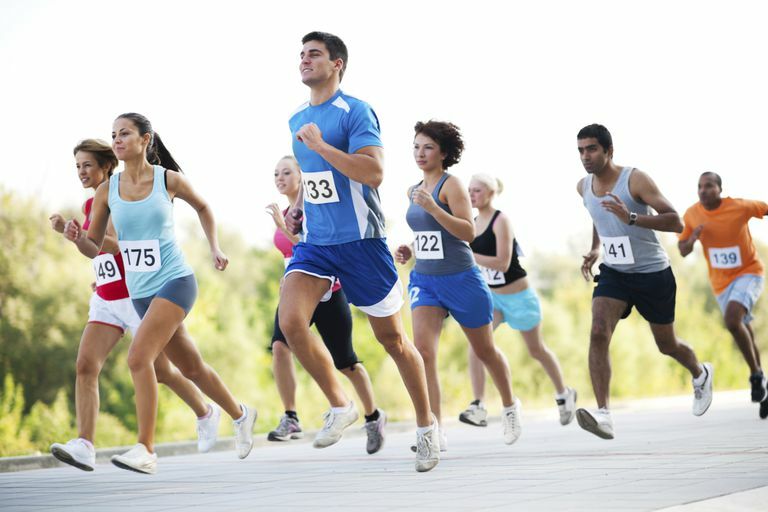 Can You Run a Race With Shin Splints? Is It OK to Run a Race With Shin Splints? You've been training to run your first 5K for months. But with the race just days away, you've developed shin splints. Does this mean you need to pull out of the race, or is it OK to run despite the pain? Here are some things to think about in order to make up your mind. What Is a Shin Splint Anyway? A shin splint is exactly what it sounds like—pain in the front of the lower leg. According to the Mayo Clinic, the ache typically is caused by overworking the tibia (shin bone) and the muscles and tendons that surround and support it. The medical term for a shin splint is medial tibial stress syndrome. It's a common injury among runners, as well as dancers and people who've recently joined the military and are going through intense physical training. Besides soreness or pain along the inner side of the shinbone, you might have tenderness and mild swelling in the area. Most of the time, the pain will go away when you stop exercising. Before you throw in the towel, do all you can to relieve the pain and treat the injury. First off, stop training. Continuing to run could set you up for a more serious injury. Use the RICE protocol to help ease the ache. RICE stands for rest (which you're already doing by no running), ice, compression, and elevation. You might also consider taking an over-the-counter pain medication such as Tylenol (acetaminophen) or Motrin (ibuprofen). Stretching your calf muscles also may provide some relief, as sometimes shin pain can be a result of tight muscles. The day before your race, go for a short run to see how your lower legs are feeling. Spend at least 10 minutes warming up: Mild shin splints often disappear once the lower leg muscles are warmed up. However, if your shin pain gets worse as you continue running or if it’s so bad it causes you to alter your gait, it's a sign you shouldn't keep going and that you should skip the upcoming race. You may have an injury that could become even more serious without proper treatment. In fact, if you’ve been dealing with the pain for two weeks or more and it hasn't gotten better with rest, ice, and OTC pain relievers, it's probably a good idea to see a doctor. Cross-train: Alternate training runs with activities that are less impactful on shins, such as biking or swimming. Get strong: Doing muscle-building exercises to keep your legs, ankles, hips, and core strong and stable. Train smart: Too much intense running or other activity that causes wear-and-tear on your lower legs can send you straight to the sidelines. Mayo Clinic. "Diseases and Conditions: Shin Splints." July 21, 2016. Can I Run Bandit in a Race? Is It Normal Muscle Pain or a Sign You Should Stop Running?